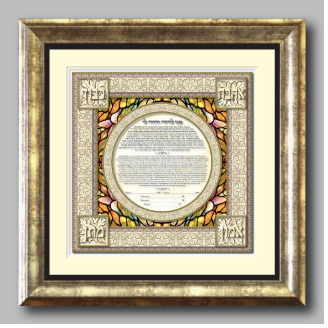 The square format of the Four Pillars ketubah symbolizes the balance, equality and stability of the couple’s blessed union. 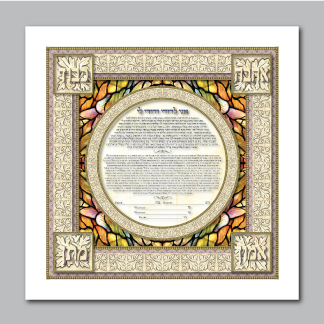 The ornate frame of carved stone represents a relationship that will stand the test of time. 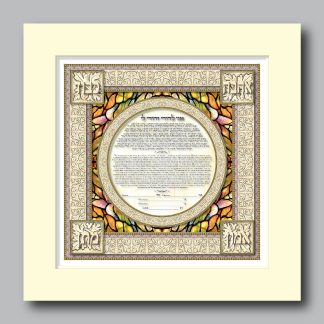 Each corner carries the weight of the marriage covenant and is the foundation for the days ahead. 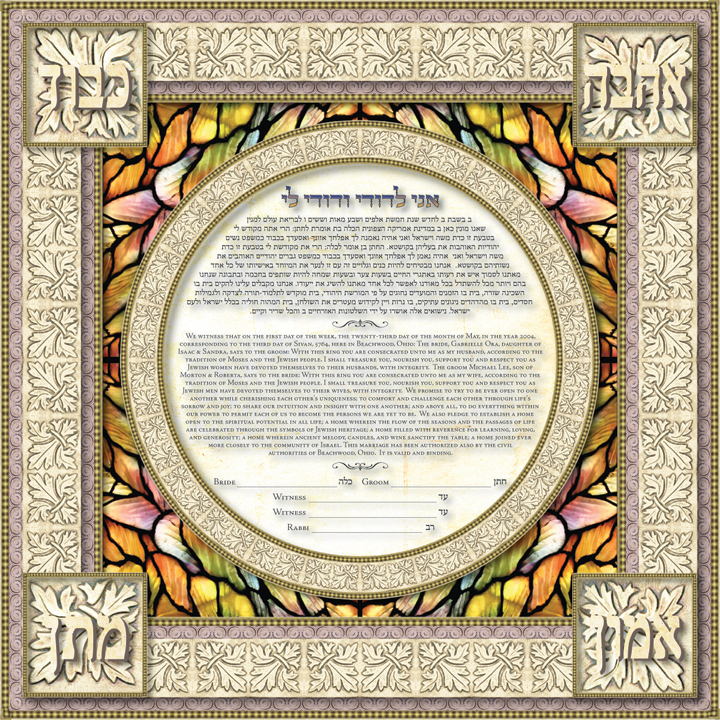 The upper right corner is “Ahava”, meaning “Love”. The upper left corner is “Kavod”, meaning “Respect”. The lower left corner is “Aymoon”, which means “Trust” and “Faith”. The lower right corner is “Maton”, which means “Giving”. 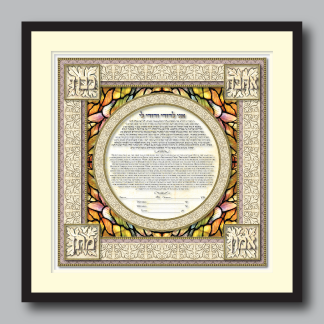 Within the window of the outer frame is a radiant bursting kaleidoscope of color representing the marriage itself. Like a puzzle, each individual unique piece creates the total picture. Each section is dependent on the other. The bride and groom each make their daily contributions to this amazing image resulting in a splendid mosaic that becomes more beautiful as the days and years pass.